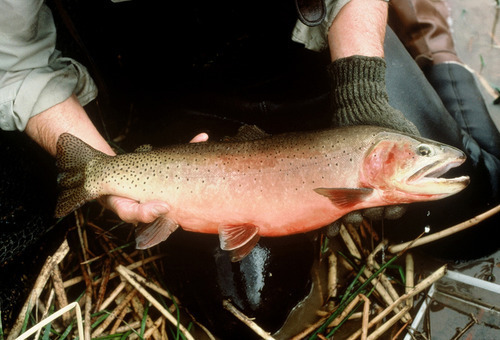 Threatened • Utah fisheries officials work to expand the greenback cutthroat population. Utah Division of Wildlife Resources | Tiny Beaver Creek on the east side of the LaSal Mountains is the home to a unique strain of Utah Division of Wildlife Resources | Tiny Beaver Creek on the east side of the LaSal Mountains is the home to a unique strain of Utah Division of Wildlife Resources | Tiny Beaver Creek on the east side of the LaSal Mountains is the home to a unique strain of Utah Division of Wildlife Resources | Tiny Beaver Creek on the east side of the LaSal Mountains is the home to a unique strain of U.S. Fish and Wildlife Service | Greenback cutthroat trout taken at Lytle Pond, U.S. Army Fort Carson in Colorado. 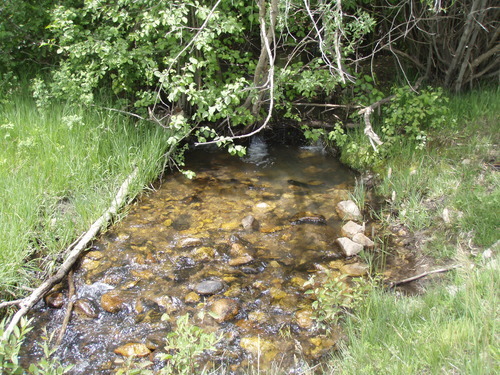 Utah Division of Wildlife Resources | Tiny Beaver Creek on the east side of the LaSal Mountains is the home to a unique strain of cutthroat trout called greenback. Utah Division of Wildlife Resources | Tiny Beaver Creek on the east side of the LaSal Mountains is the home to a unique strain of cutthroat trout called greenback. Utah Division of Wildlife Resources | Tiny Beaver Creek on the east side of the LaSal Mountains is the home to a unique strain of cutthroat trout called greenback. 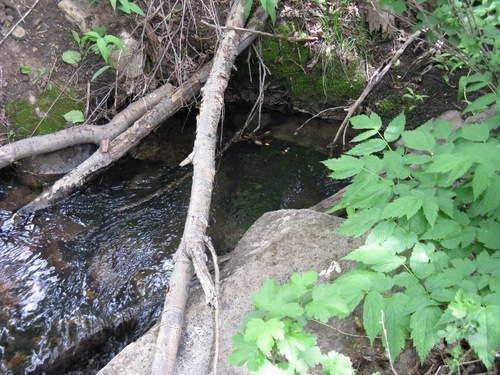 Utah Division of Wildlife Resources | Tiny Beaver Creek on the east side of the LaSal Mountains is the home to a unique strain of cutthroat trout called greenback. U.S. Fish and Wildlife Service | Greenback cutthroat trout taken at Lytle Pond, U.S. Army Fort Carson in Colorado. The debate about which kind of cutthroat exist on a short stretch of Beaver Creek on the east side of Utah's LaSal Mountains could linger for decades, but state wildlife officials are working to protect and expand the population regardless. Utah Division of Wildlife Resources (DWR) officials announced in the spring of 2009 that a small population of the greenback cutthroat trout, a fish listed as threatened on the Endangered Species List, had been confirmed through DNA testing of samples collected at the remote site in southeastern Utah. Wildlife biologists from Colorado, where greenback are the state fish, are studying DNA from cutthroat along the Colorado River in an effort to determine the exact range of the fish. The issue for some biologists is whether the greenback is a unique strain of cutthroat trout or just another form of Colorado River cutthroat trout. But because the Colorado cutthroat has been proposed for listing, and denied, Utah fisheries officials are treating the population on the LaSals with great care. "We will be working to expand the population," said Justin Hart, a regional aquatics manager for the DWR. 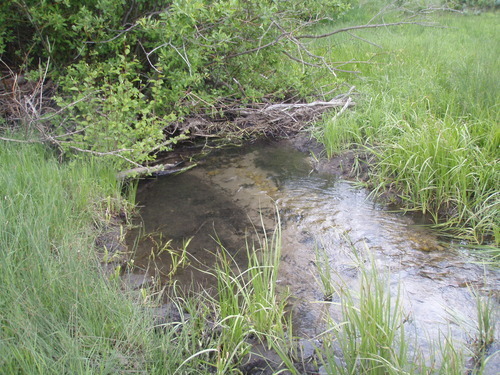 "There are several other streams nearby that could support fish." Hart was collecting samples for existing state native cutthroat trout plans when the surprise result of greenback came back. Wildlife officials were hoping, and expecting, to find Colorado River cutthroat. The Beaver Creek population is the only known collection of greenback cutthroat trout in Utah. "I guess you could say the jury is still out on what kind of cutthroat it is," said Roger Wilson, sport fish coordinator for the DWR. "I was originally told that the listing of the greenback is limited to the state of Colorado, but I have since heard that they found a reference that has the Fish and Wildlife Service wondering. It is possible the listing could include the Utah fish." Serious red tape is a major obstacle when endangered species are involved. That is one of the main reasons Utah officials have worked so hard to keep native cutthroat and other nongame species at viable numbers  to keep them from being listed. 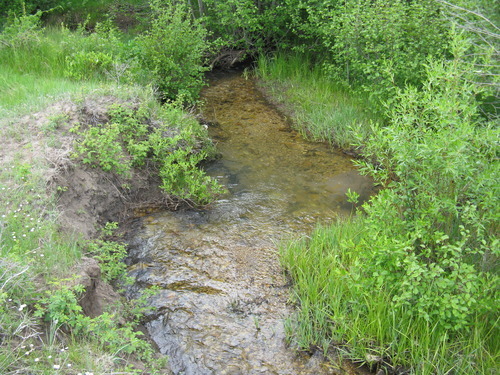 Hart and biologists with the Forest Service have walked Beaver Creek to confirm that it is not connected to any other creek, thus ensuring the preservation of the pure cutthroat strain. "We are pretty confident that it is secure," Hart said. "There are nonnative cutthroat and brook trout on other waters on the LaSals, but Beaver Creek seems to be limited to these cutthroat." Wilson said while the population seems secure, it is also vulnerable to a catastrophic event like a wildfire, the introduction of another fish like brook trout or a disease accidentally introduced by anglers hoping to catch a rare species. "We will need to do some disease work and then work on an egg take program and possibly eventually create a brood stock to help us expand the range of the fish into other nearby creeks," Wilson said. Anglers are allowed to fish Beaver Creek, but special regulations require them to use artificial flies and lures and release all cutthroat trout or trout with cutthroat markings. Beaver Creek is small and the fish are generally small as well. Cutthroat are the only trout native to the Intermountain West. There are at least 14 subspecies, three of which have been identified as native to Utah. Bonneville cutthroat • Utah's state fish, native to the Bonneville basin. Thought to be extinct, a pure population was discovered in the Deep Creek Mountains in 1974. Yellowstone cutthroat • A population of Yellowstone cutthroat, also native to Utah, lives in the Raft River Mountains in northwestern Utah. Colorado River cutthroat • Native to the tributaries of the Green and Colorado rivers, this fish is closely related to greenbacks. Utah has worked hard to restore Colorado River cutthroats to their native habitat. Lahontan cutthroat • Native to Nevada, there is a small population of Lahontan cutthroat on Pilot Peak Mountain north of Wendover. The fish are believed to have been planted by train workers who wanted something to do while at a water stop. The Utah population was determined to be pure and Nevada officials used those fish to help start restoring the fish. Greenback cutthroat • Utah wildlife officials confirmed in the spring of 2009 that cutthroat with greenback DNA markers were collected on the LaSal Mountains east of Moab.